We Can Repair Your Roof and Fix Your Leak! 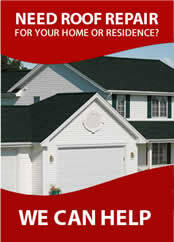 Roof repair doesn’t have to be a complicated matter. You shouldn’t have to chase a roof leak, wondering where the water is actually coming in. Water can do a tremendous amount of damage to the interior of your home, and we hope you don’t get caught with your roof leaking. But if you do, Dial One Roofers Portland is here to help. 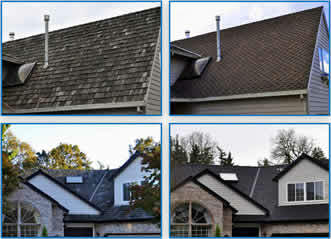 We have the products and experience to stop your roof from leaking, and get your life back to normal. We’ve seen it hundreds of times, the homeowner has pulled out the ladder, climbed up on the roof, put down some roof repair material, and hoped for the best. While we all believe it’s alright to save money, what usually happens is the water continues to drip, causing far greater damage because the moisture is slowly causing rot to settle in. A small roof leak can actually be your worst leak, because a small leak will silently cause wood to rot, and mold to grow. This kind of damage can be devastating in terms of live ability and costs. Entire walls may have to be re-built, floor joists may have to be replaced, and complete reconstruction of the areas be necessary. Repairing a roof in Portland can actually be very simple, just give Dial One Roofing a call! Without attention, roof leaks can lead to serious damage and mold. Dial One Roof Portland technicians can pinpoint the leak’s origin, provide you with a written remedy, and guarantee and quality Portland Roof Leak Repair. Roof Tarping can control and mitigate damages, and may be required in lieu of leak repair. Dial One Roofing techs can assess your situation, and provide a quality solution immediately to prevent and damage from leaking. Click here for an immediate roof assessment. Copyright © 2019 Dial One Roofing of Oregon Inc. All Rights Reserved.